Clear the floor andlet the sound through You knew it was coming. You can’t expect JBL engineers to rest when it comes to redefining home theater sound. 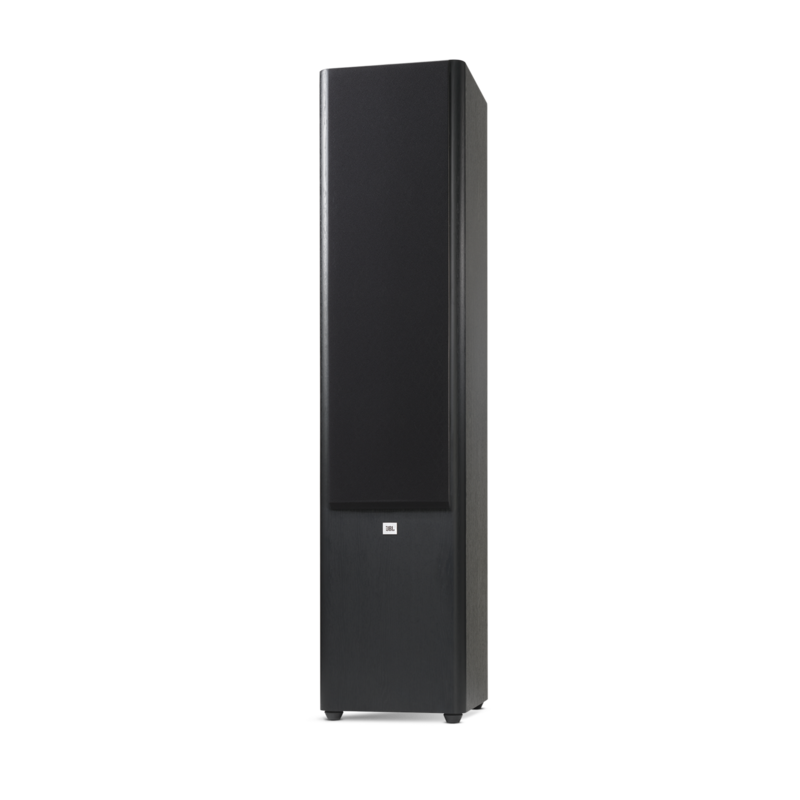 Introducing our new JBL® Studio 290 dual 3-way floorstanding loudspeaker – a towering piece of sound-craft that goes far and beyond what otherscould only imagine. 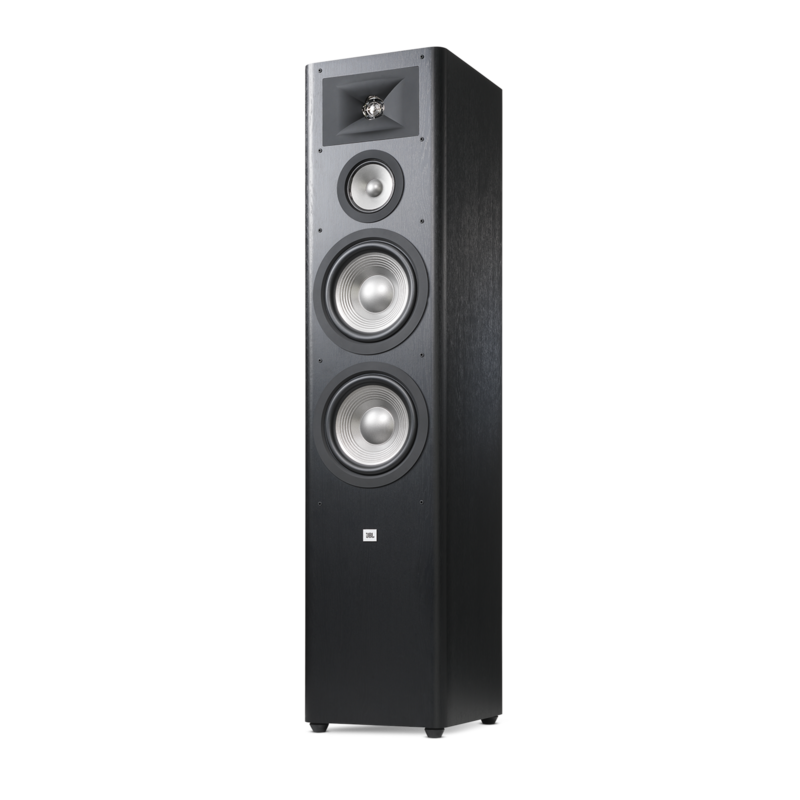 A signature part of our new 10-piece JBL Studio 2 loudspeaker series, the Studio 290 has been tested relentlessly in the world’s most advanced sound research lab – our own – as well as pitted against competitors in real world comparative listening studies. The results are in: the Studio 290 takes the crown for legacy and technology. Its dual 8” PolyPlas drivers deliver twice the potency and precision of signature JBL sound. A rear-firing Slipstream bass port envelops your senses in tight, accurate bass. But these are just for starters: we’re aiming for the record books. Taking cues from our own work in developing some of the world’s most legendary recording studios, we’ve given the Studio 290 the kind of home audio experience that’s normally reserved for premium movie theaters. We’ve added improvements like a 1” CMMD® Lite high-frequency driver to ensure low-distortion, and a High Definition Imaging (HDI) waveguide design that offers pinpoint sound imaging and firm natural balance. We’ve shored up the Studio 290’s interior with edge-to-edge bracing so that there’s minimal cabinet flexing and bass distortion. Finally, we’ve introduced seductive 21st century features like gloss black paneling, soft rounded edges, and your choice of either Black or Espresso woodgrain finish. For those able to see and hear the truth, we’re confident you’ll know it – full volume – when you see and hear the Studio 290. Studio 290 is rated 4.7 out of 5 by 15. Rated 5 out of 5 by Toai Dang from Excellent speakers I bought this two weeks ago, and I was so happy with what I decided. Thanks JBL. Rated 5 out of 5 by Bob64 from Incredible Rich Sound It’s been a few years since I’ve had a JBL product and what I thought was great before just got better. These speakers provide such full, rich sound, they’re simply incredible. I had the 412’s and the 312’s in the late nineties. These two speakers sound as good as those four used too. All this for less than half the money. Rated 5 out of 5 by L A Ray from Worth the wait! I purchased the JBL Studio 290's I purchased the Studio 290's via telephone direct from JBL after talking several times to their experts. I had been tracking these speakers for months online. Originally priced at $599.99 per speaker they were a little bit out of my budget at nearly $1,300.00 including taxes. Over the holidays I watched the price drop first to $399.99 and then to an even lower Black Friday $349.99 price. I hesitated due to other Christmas expenses and missed out on that price. Disappointed, I continued to monitor the price up to and through Christmas. They bounced back up to $399.00 and I once again hesitated. I checked back the second week of January and couldn't believe my eyes. I even made another call to JBL to confirm what I was looking at. To my total shock the price was on a "special" few days sale(including a countdown clock) at an unbelievable(too me at least)...$299.99 each with free shipping. That's right...$299.99! Needless to say my debit card came flying out of my wallet on it's own. Lol! Can you say Christmas in January? I had been using an excellent sounding pair of JBL HLS810 2-way bookshelf's since 1999. I bought them brand new and they have served me well. The Studio 290's arrived very well packaged and undamaged on Monday(1/14/19). Unboxed and installed them into place in my home theater. Fired them up and man...these speakers really, really ooze with quality sound. I'm a "semi-professional" musician(percussionist), so I know music. These things sound like I'm literally in the middle of one of my band practices or gigs. When it comes to watching movies now, it's a whole new world. Voice dialogues, soundtracks, breaking glass, firing-bullets, explosions, etc. just went to a new level. I realize they are going through a break-in-period and will only get better and better. Lucky me! FYI I'm running a full JBL LF, RF, center and sub package. Along with pre-installed M &S rear in-ceiling speakers. Believe me, it sounds great. Using a Sony STR-DH770 AV receiver and a Sony XBR-65X750D 65" 4K TV for a "canvas". It's obvious that you can spend more. But for my investment over the years I'm very satisfied when I sit down to enjoy some TV, movies or music. I will be rotating the JBL HLS 810's into my game room. No way am I parting with my "babies". They've been with me a long time. I'll add a little sub-woofer(already have another Sony receiver and a center-channel) and I'll have a nice #2 system when entertaining in that part of the house. All-in-all I'd say the Studio 290's were...well worth the wait indeed! Will the JBL Studio 290 speakers work with a McIntosh 1700? I'm afraid I'll blow out either the Mac or the JBL Studio 290 speakrs. Hi! We do not have information about the Mcintosh 1700 amp to check its compatibility but the Studio 290 can handle upto 20-226W @ 8ohms. Basically it should work as long as it meets the recommended amplifier power. Bi-wiring allows two benefits. You can separate the load of mids and highs to one amplifier and lows to another. Or you can increase the output from a single amplifier by increasing the load by reducing the resistance (ohms). For example, bi-wiring a pair of 8 ohm speakers to a single amp will be as if you are running four 8 ohm speakers from that amp, making the resistance on the amp down to 4 ohms. Most amps provide about 50% more power when this is done, but it is more load (work) on the amp. Please ee my answer to honeyjean's questiosn below. With a rated power output of 30 watts your MA 230 integrated amp will work very well with these speakers. As it's a tube amplifier it should really make the JBL's sing very smoothly. Just don't crank up the volume too much and you'll be in great shape. Thank you for showing interest in our products. 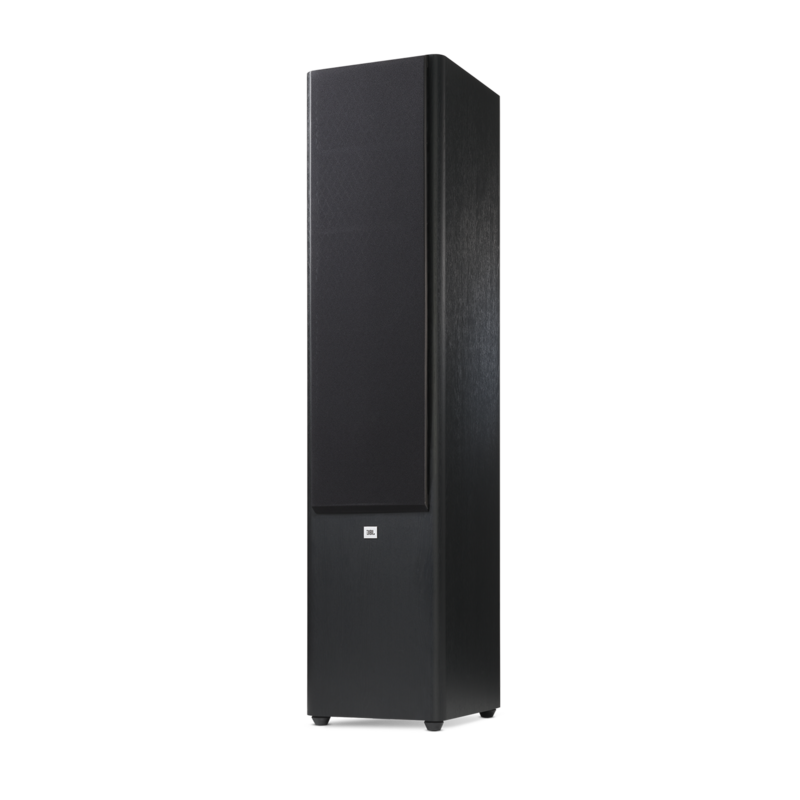 The JBL STUDIO 290 and&nbsp;JBL STUDIO 590 are both ideal for music and movie systems. 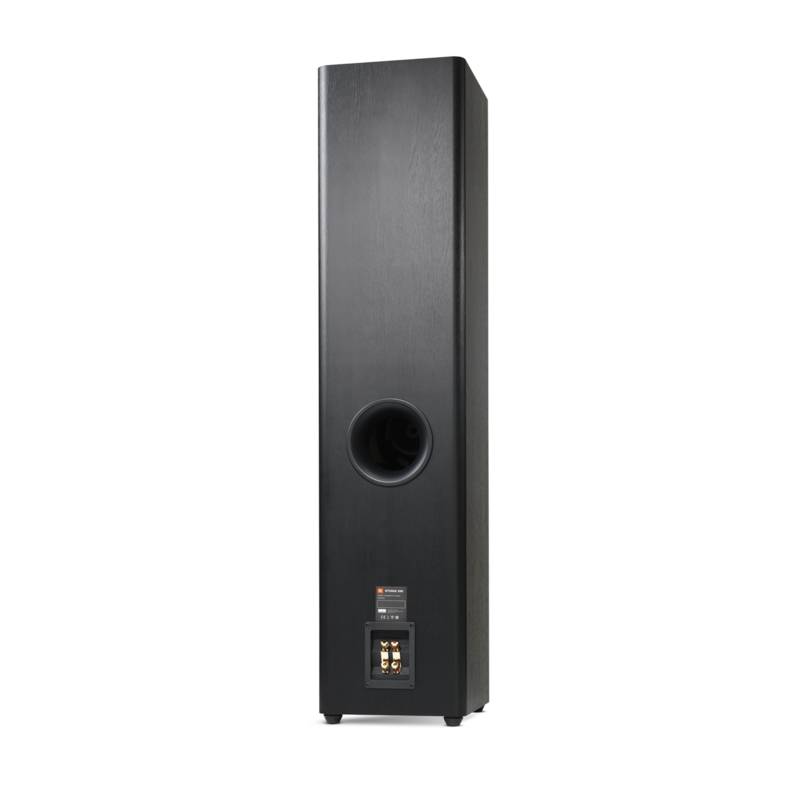 It's just that the&nbsp;STUDIO 590 together with the rest of&nbsp; Studio 5 Series speakers, were acoustically designed by renowned JBL chief engineer Greg Timbers. The loudspeaker has a&nbsp;combination of&nbsp;a 25mm (1&quot;) HF compression driver and Bi-Radial&reg; horn with dual 200mm (8&quot;) cast-frame Symmetrical Field Geometry (SFG) woofers in order to&nbsp;deliver powerful and accurate or lifelike&nbsp;performance. The materials used in the STUDIO 590 was able to compensate for not having a specific driver for midrange&nbsp;that the STUDIO 290 has. The main difference between the two is the STUDIO 290 speaker can handle up to 225 watts while the STUDIO L880 can handle up to 200 watts. This means that any receiver with a power output of 225 watts per channel or less will work fine with these speakers. With that said, STUDIO L880 has a lesser wattage handling than the STUDIO 290, making the STUDIO 290 a more logical choice. Match well with Denon AVR-S930H receiver? 930H specs are (8 ohm, 20 Hz-20 kHz, 0.08% 2ch Drive, 90W); (6 ohm, 1 kHz, 0.7% 2ch Drive, 125W); (6 ohm, 1 kHz, 10% 1ch Drive, 185W). Don't want one to over or under power the other if it creates bad sound. Hi! Thank you for your inquiry. Looking at the specs you have provided, there should be no issues using the Studio 290.
freq range is 38hz-22khz is this +-3db or more ? sensitivity is 91 db is it 2,83v/1m or 1w/1m and is it free space or half space ? I definitely need accurate values to check that they are capable of 40hz @ 110db @ 1m with how much required power ? 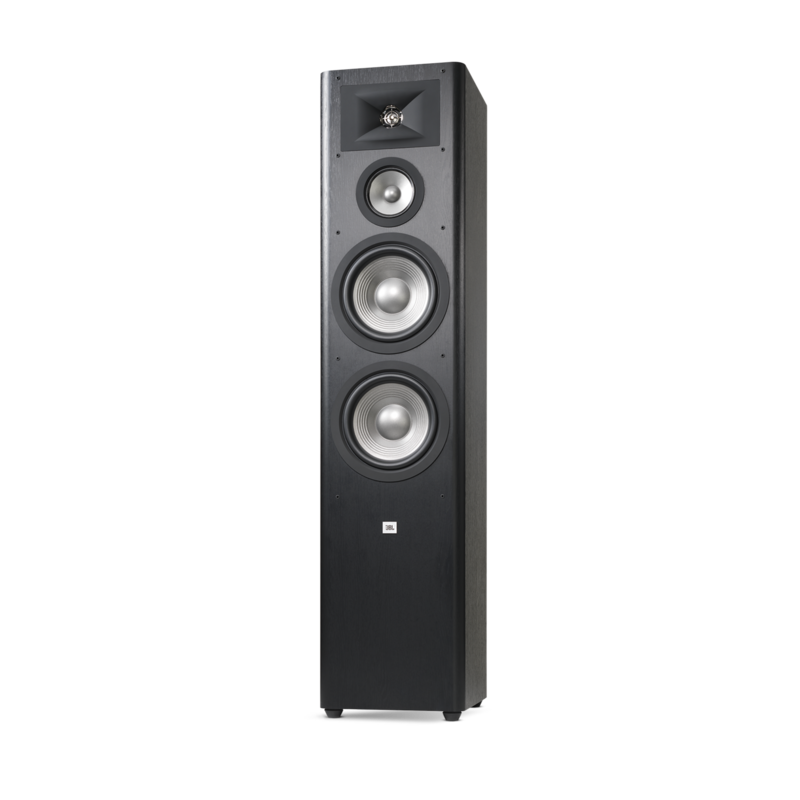 hi there, I'm considering buying a pair of the studio 290s along with an Onkyo TX-NR555 amp: All Channels 130 W/Ch (6 &Omega;, 1 kHz, 1% THD, 1 Channel Driven, IEC) 160 W/Ch (6 &Omega;, 1 kHz, 10% THD, 1 Channel Driven, JEITA) Would that work well?